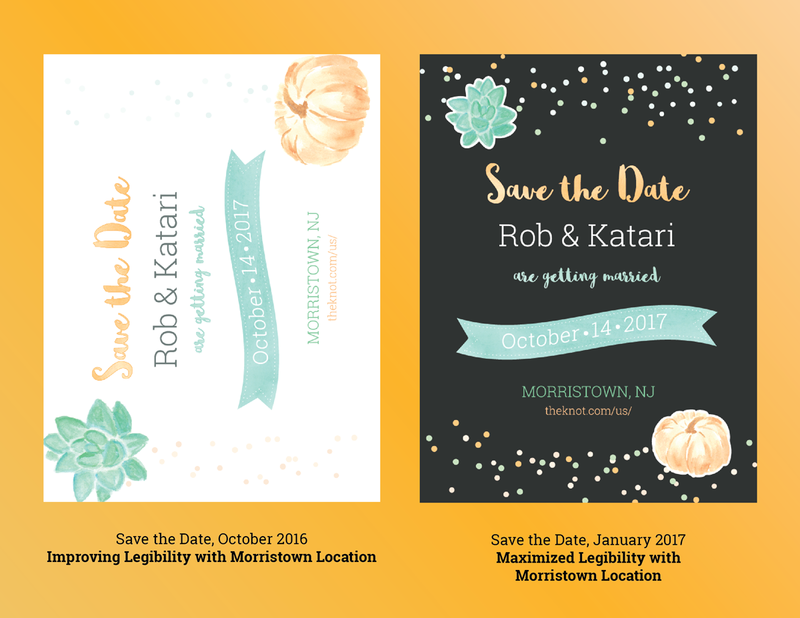 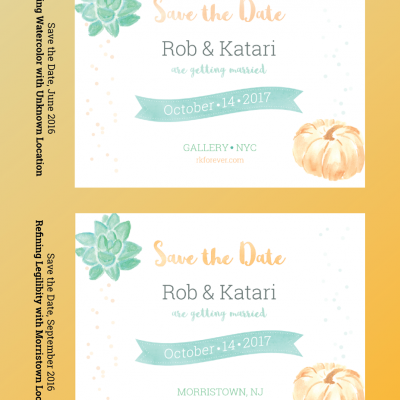 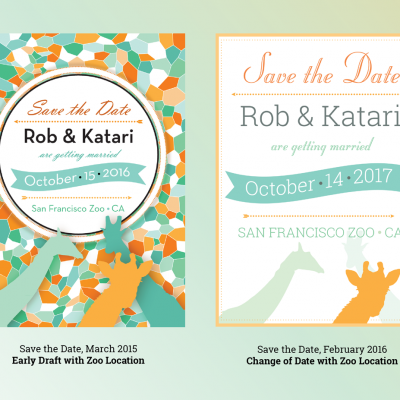 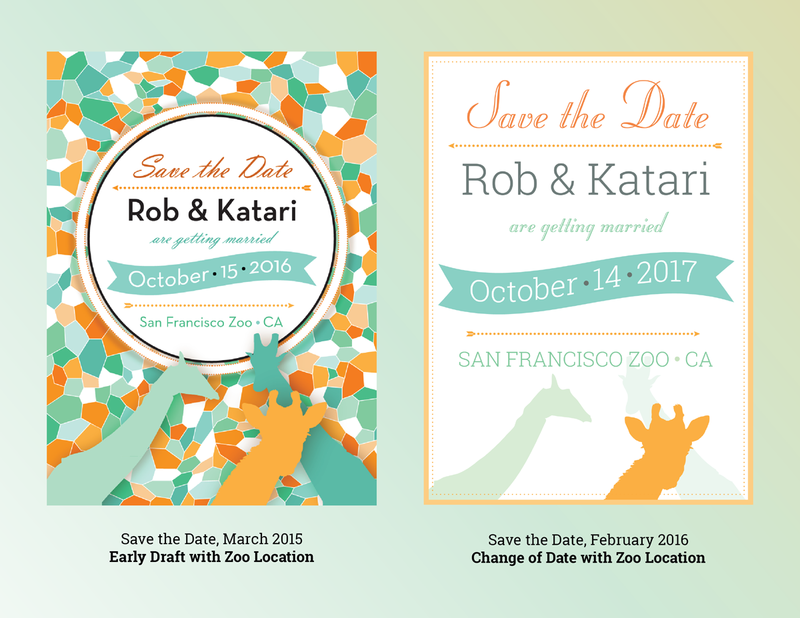 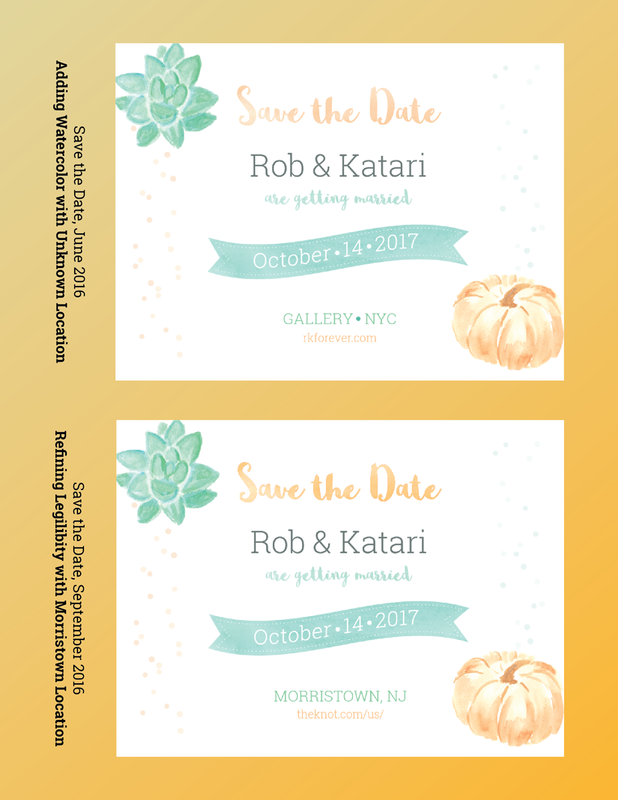 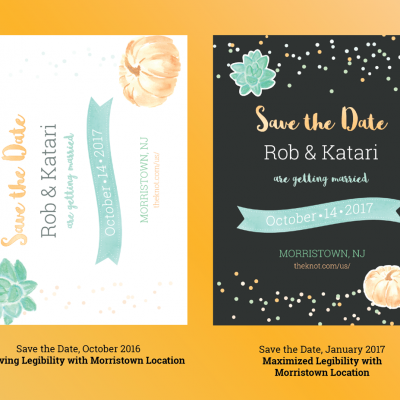 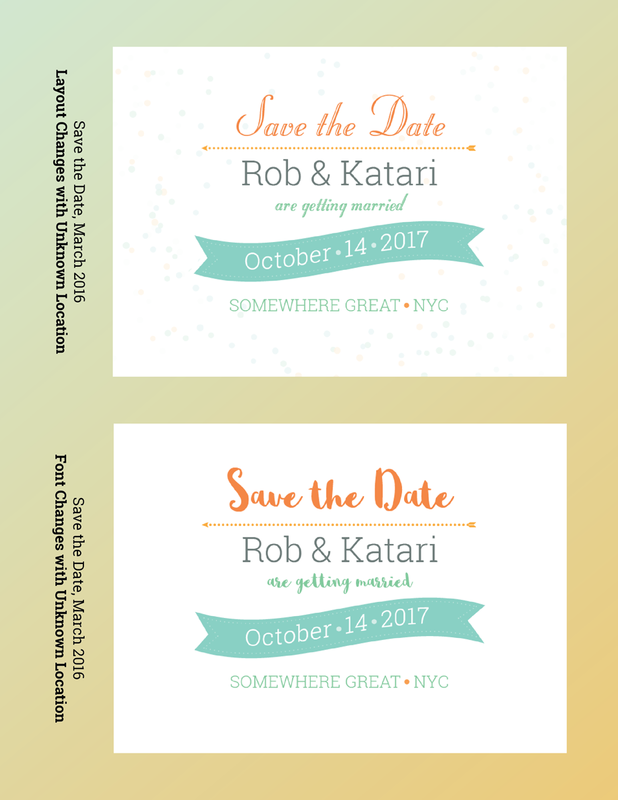 As our wedding plans changed over the course of our engagement, my fiance and I took our time before settling on a final design for our Save the Dates. 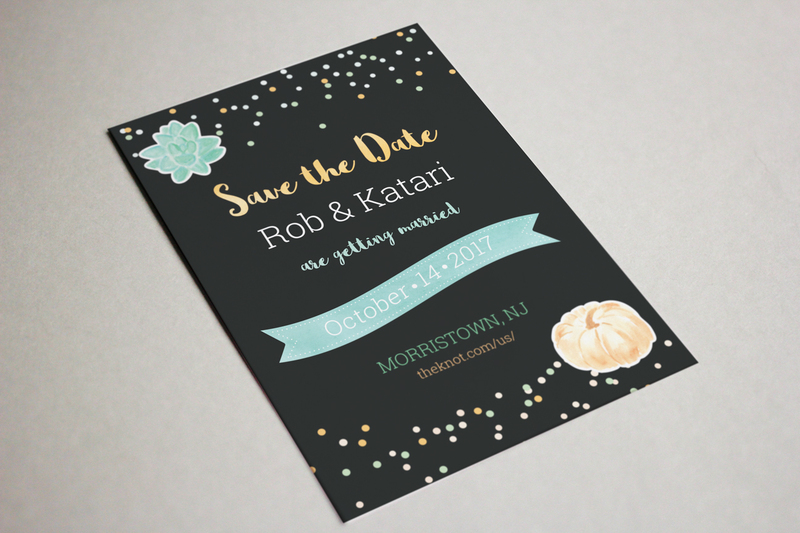 We went through a series of redesigns, refining our font decisions, creating assets such as illustrations and watercolor textures. 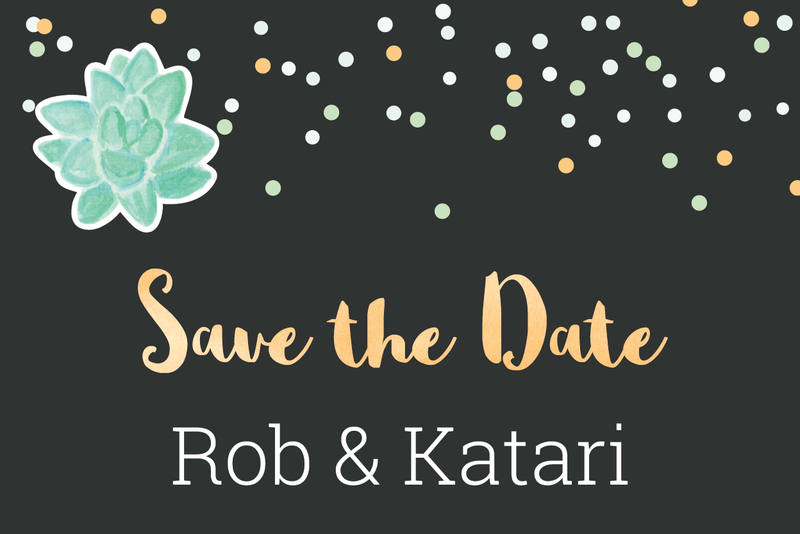 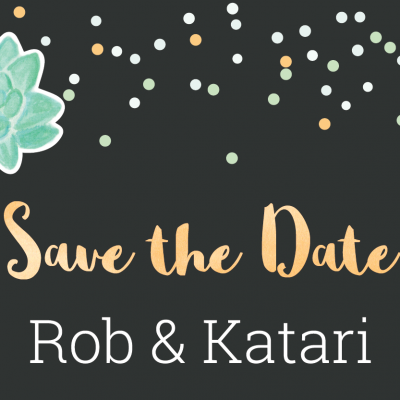 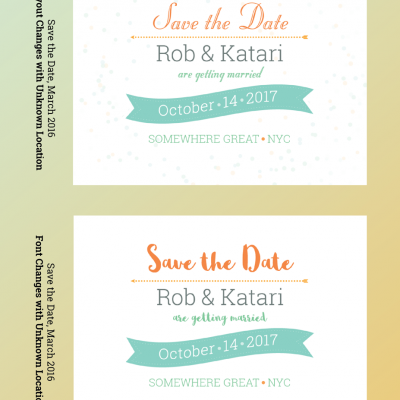 Our wedding theme became more refined with time and we were able to finalize our Save the Dates once we settled on a venue.